Athens car rental options include almost all of the major international car hire firms such as Avis, Budget, Hertz, Europcar, all of which have offices in Athens city centre, and car rental is also available from Athens Airport. The easiest way to find the locations of car rental companies in Athens is by checking their websites. Offices can move, and many of the companies have several locations within the city to choose from. You can also check Athens car rental rates in advance online, to see how they compare if you do then wish to go into a real office. If you want to shop around on the street and visit several offices to try to find that cheap rental deal, then several of the major car hire firms have offices fairly close together along Syngrou, to the south of Hadrian's Arch. Rates in Athens are usually higher than when booking from overseas. Try to arrange your car hire before you leave home. If you decide to do it on the spot, you can still often get much cheaper car rental deals either by going online or by emailing or phoning the car rental offices back home. One of the biggest Athens-based car hire firms is Kosmos, so you should definitely check their website when looking for the cheapest Athens car rental choices: Kosmos Rent a Car Athens. Other local Athens car hire names to look for include Athens Cars, Hellascars, and Thirfty Hellas Rent a Car. 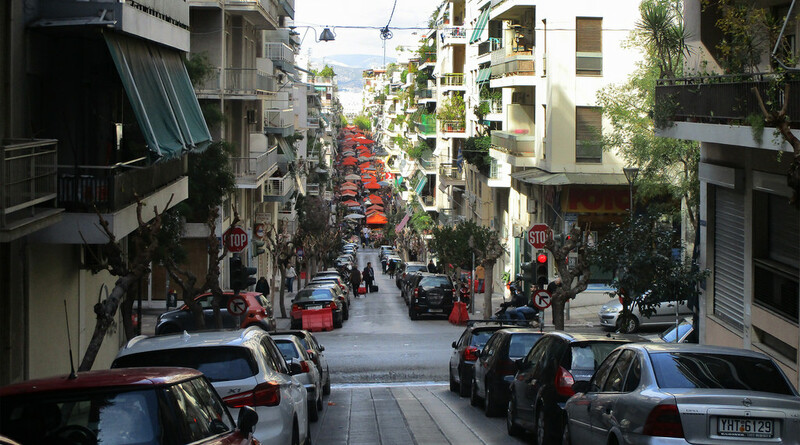 Be warned that driving in Athens is not for the faint-hearted, as Greeks drive very aggressively in the city, some major roads have several lanes, there are one-way streets and pedestrian areas to negotiate, parking is difficult unless you know some back-street car parks, and the traffic always seems to be congested. Having said that, once you can get out of the city driving in Greece can be a delight, taking you to parts of the country that are otherwise hard to get to.